Located on the banks of the Milwaukee River along the village’s main street, the building dates from 1839 when things moved a bit slower and conversation was the primary means of communication. 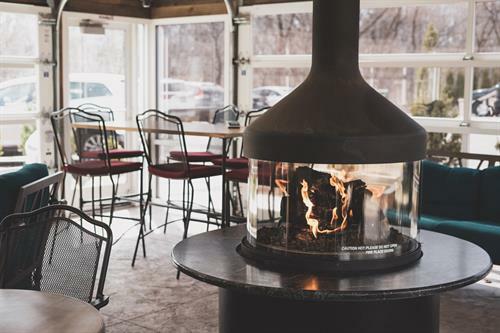 Our Thiensville location boasts a beautiful outdoor patio complete with the natural backdrop of the Milwaukee River. 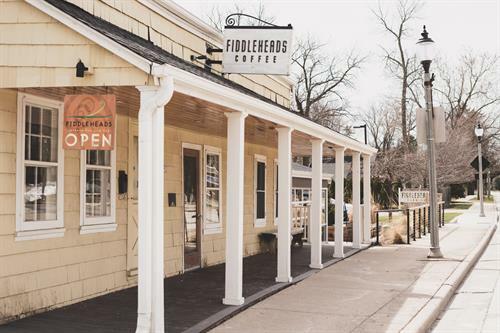 It’s not unusual to spot wildlife such as fox, deer, herons and eagles as you enjoy your Fiddleheads coffee. 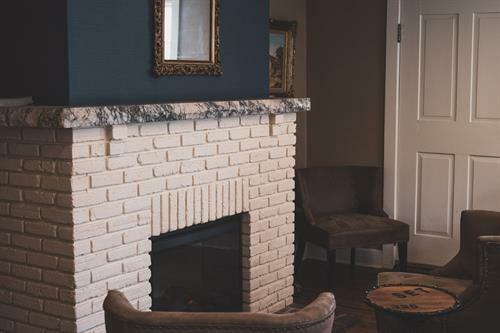 Indoors, you will find, antique original artwork lines the walls, complementing its rough-hewn hardwood floors, reminiscent of Old Vienna. It’s a great meeting place with Old World feel. Our café is always bicyclist, and family friendly.